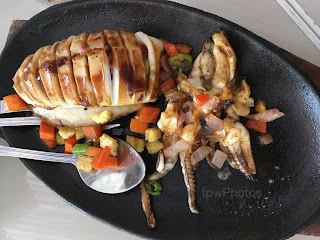 Tagaytay has been our in-between stop whenever going home to Batangas. 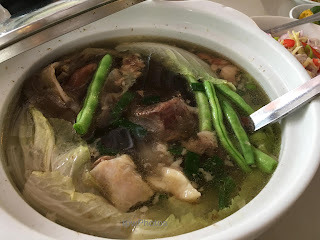 Traveling home is longer via this route especially considering the traffic and distance but it has lots of dining places to choose from so I normally urged BFF to use this route. In one of these trips home, I noticed Viewsite billboard and decided to try the restaurant for a new experience. 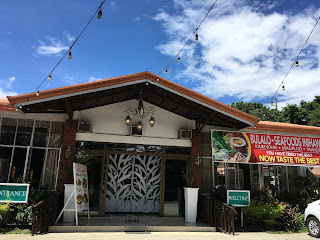 Viewsite Restaurant used to be located along Tagaytay-Nasugbu Highway facing the Taal Lake and Volcano, hence, its name. Now, they are located on the other side of the highway with no view at all. ;) I haven't been to this restaurant before so I don't know how it looks like back then but I suppose their transfer is for the better, considering the open area parking that can accommodate a number of vehicles and the spacious dining area in the new location. Coming in, you'll be greeted by an all-smile staff that will help you get a seat. The place is quite huge with lots of tables so we got seated at once and placed our orders immediately. 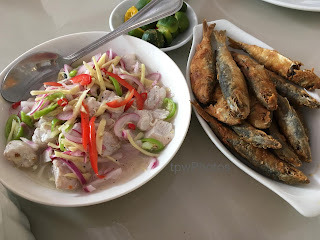 For our lunch, we ordered bulalo, crispy tawilis, sizzling squid and kinilaw na tanigue; melon juice for our drink. We were served with our food 15 minutes later, the usual waiting time in restaurants. 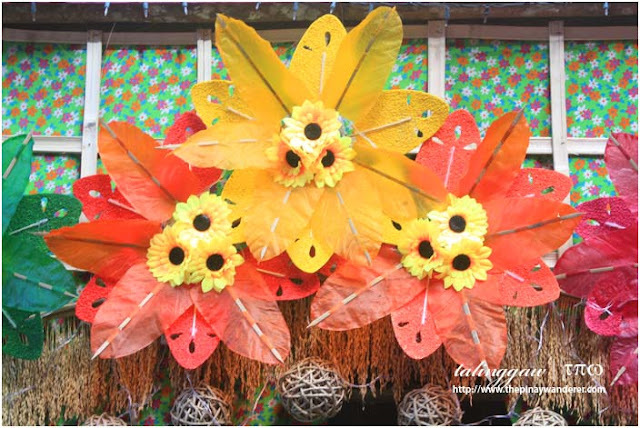 Festival, more commonly known as "fiesta", is one of the most celebrated events in the Philippines. 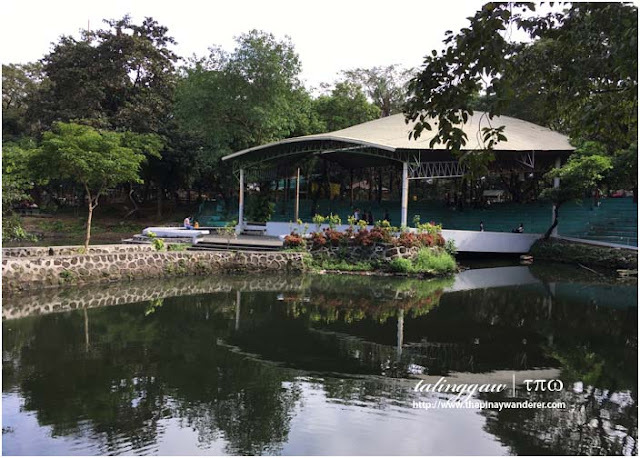 It is part and parcel of the Filipino culture and is usually done so in honor of the locality's patron saint. One of these popularly known festivals is the Lucban San Isidro Pahiyas Festival in Quezon Province. 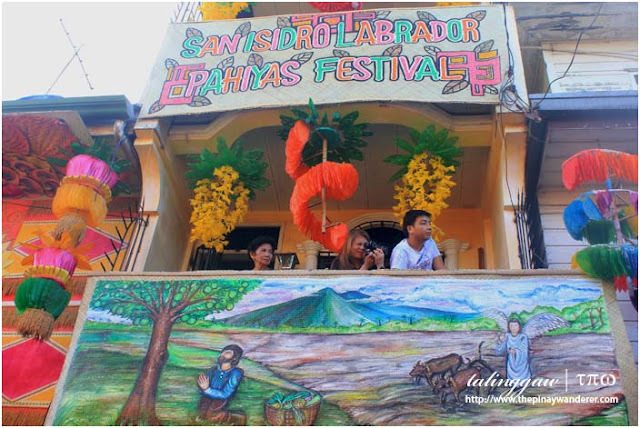 Pahiyas Festival is celebrated every 15th of May in honor of San Isidro Labrador, the patron saint of farmers, as a thanksgiving tradition for a bountiful harvest. 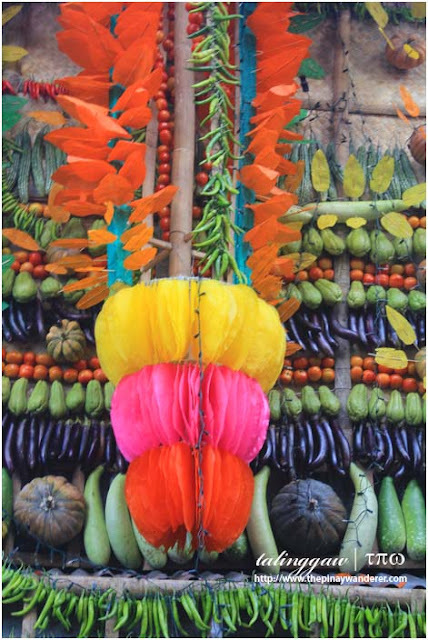 Pahiyas, a term derived from the local vernacular "payas", means "decoration or to decorate" [source]. 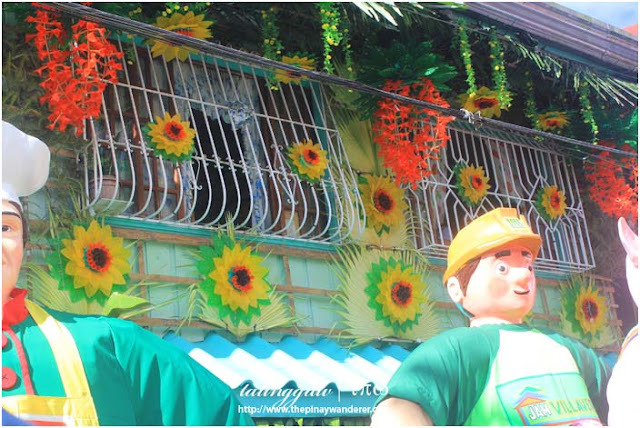 Pahiyas Festival features houses adorned with various farm produce and the famous kiping, a colorful leaf-shaped wafers made of rice dough, arranged into various shapes and decors like flowers and chandeliers. I got the chance to witness this well-known festival in 2015. Yep, the travel was three years ago! I went there all by myself; left Manila at around 6AM, got stuck in traffic somewhere in Sariaya (I think?!? hehe), and arrived in Lucban at around 2PM; that's how long my travel time had been. I was still able to witness the parade, though; even had the chance to roam around town first, eat street foods - habhab, Lucban longganisa, sweetened squash (I forgot how they call it). For a solo wanderer still feeling dizzy from the long travel time, the town seems too big to roam around. But after some more walking and and lots of asking around, I finally get to the streets where the colorfully and artfully designed houses are located. It really is a feast for the eyes, the townsfolk passion and creativity is admirable. 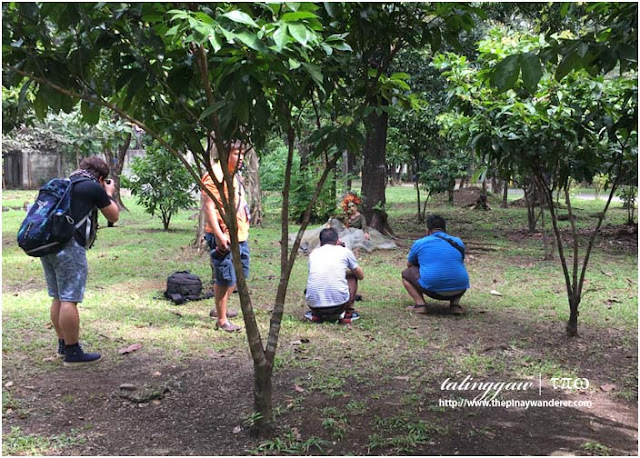 I just hope they continue this tradition though, as I read somewhere that the making of kiping, a known Pahiyas trademark, is becoming a dying tradition; the younger generations of Lucbanin becoming more interested in technology and social media than preserving the Lucban and Pahiyas traditions. 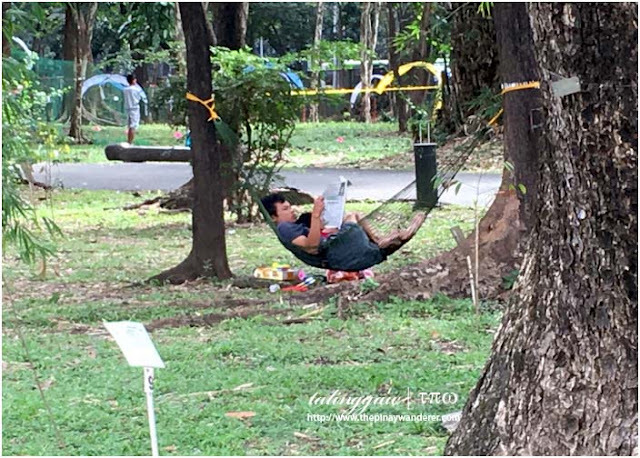 Via Public Transport: I've read from other blogs that you can get to Lucban either via Sta. Cruz, Laguna or via Lucena. I don't know which is the better route but in my case, I chose Lucena. 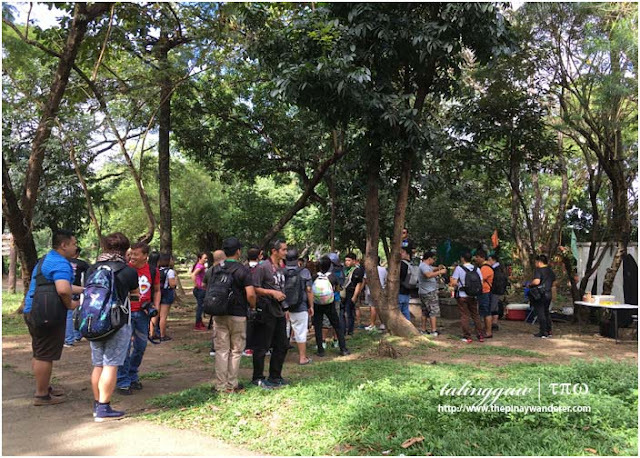 Several buses ply this route, with terminals in Cubao, Buendia-Taft or Pasay-Edsa so choose the one nearest you. From Lucena (SM terminal), you can then get to Lucban via a jeepney. Usual travel time is around four (4) hours but if you're traveling on the day of the festival itself, it will take around six (6) to eight (8) hours due to heavy traffic (I witnessed another town from Quezon celebrating its town fiesta on the same date). Via Private Car: If you're driving, you probably can take the same route as above or you may let google guide your way to Lucban. However, as I've mentioned above, there's heavy traffic on the day of the festival so I'd suggest you take Batangas route. From Manila, drive through SLEX and Star Tollway, exit at Lipa going to Ibaan, Rosario, San Juan (all in Batangas) all the way to Sariaya, Tayabas and then Lucban. I don't know if this is shorter but it's probably more convenient as I'm assuming there's less traffic in this route. 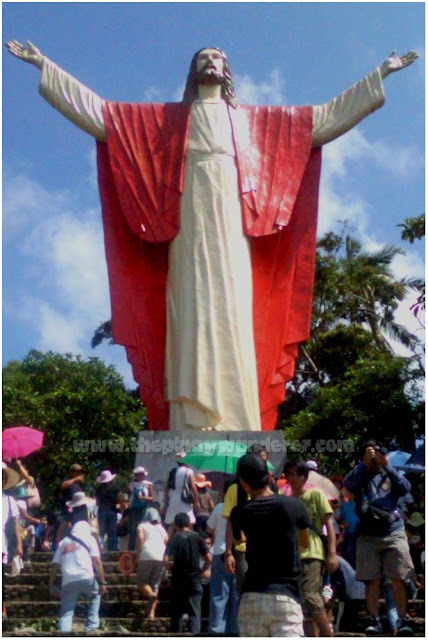 We used this route actually, on our road trip to Kamay ni Hesus Shrine. 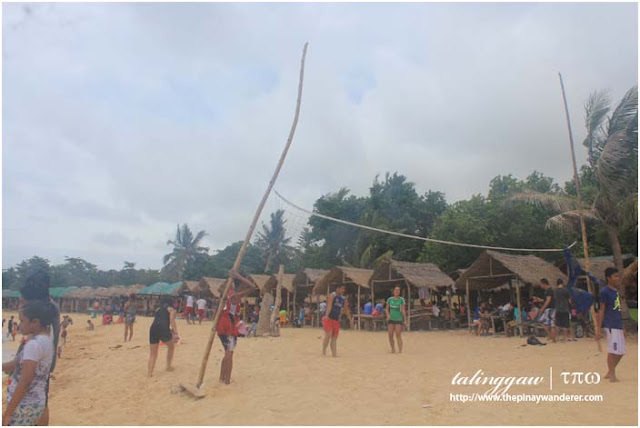 Pahiyas Festival can be done DIY-style and on a day tour (just like what I did). 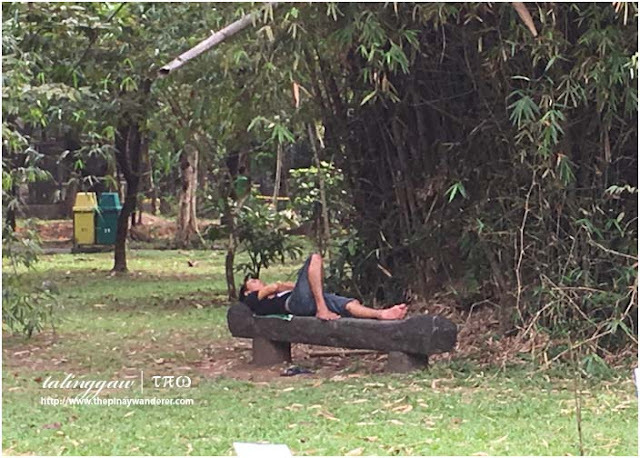 But if you're with friends, it might be better to stay overnight, watch the continuation of the festivities at night and explore other places in or near Lucban, Quezon. 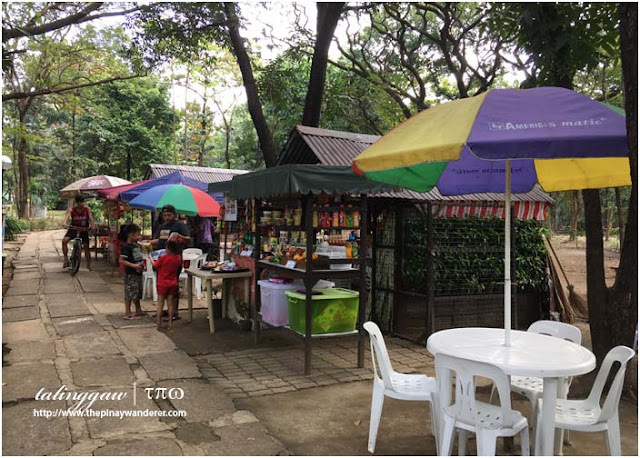 One of the places you can check out is Kamay ni Hesus Shrine (you'll pass by the Shrine on your way to the festival). 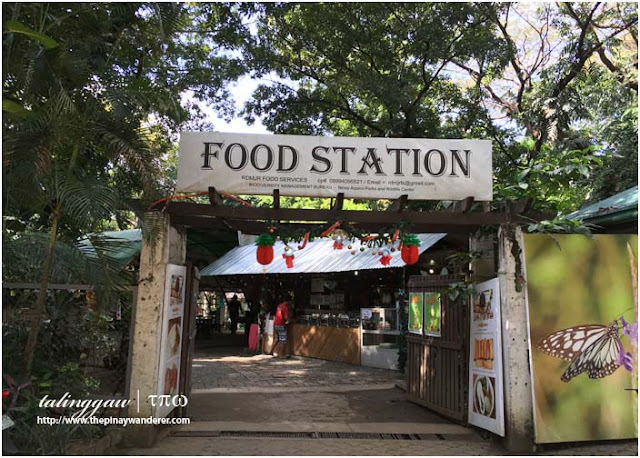 You can also do some food trip at Kamayan sa Palaisdaan in Tayabas, just a few minutes away from Kamay ni Hesus Shrine. 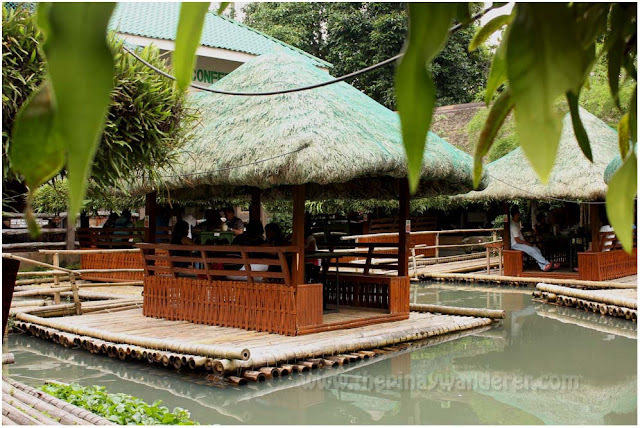 Kamayan sa Palaisdaan also has a resort where you can stay for the night, if you haven't yet decided on a place to stay. Happy Sunday everyone! God bless! 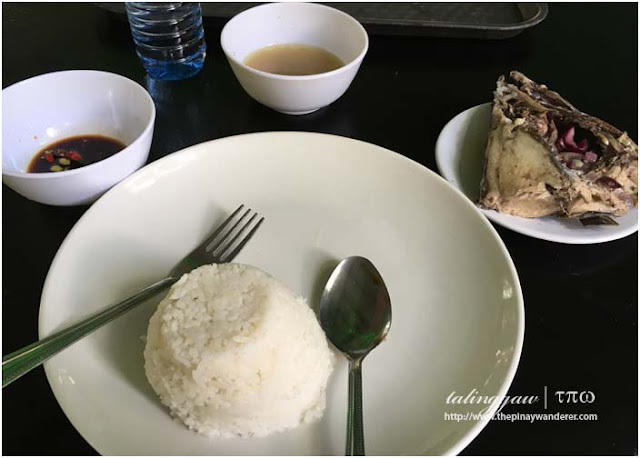 It's past summer time and this post is long overdue but nonetheless, here it is - a continuation and the last part of our day tour in Bolinao. 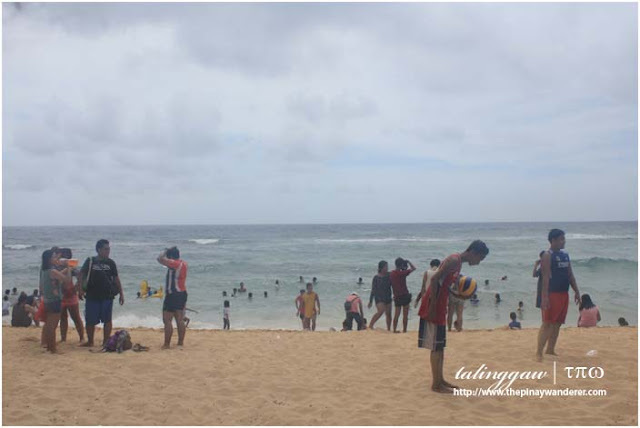 Bolinao is a popular summer destination up north and prided itself with its pristine beaches. Beach resorts abound in this town; many are pricey but there are some public resorts, too. 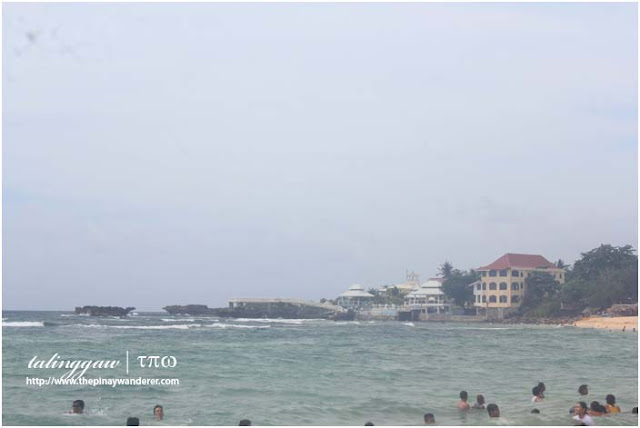 One of these public resorts is Patar Beach. 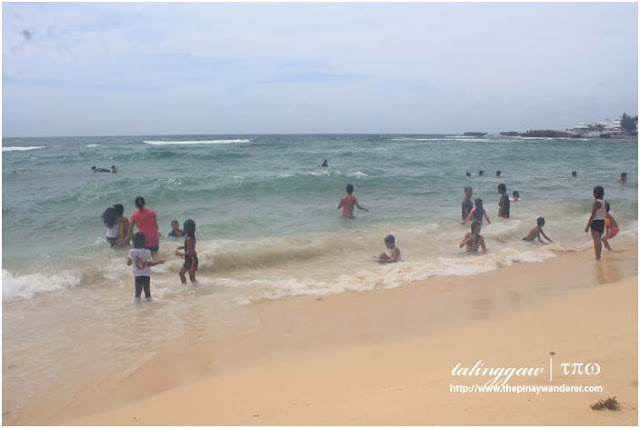 Patar beach is situated on the west coast facing the West Philippine Sea. It boasts of a long stretch of creamy white fine sand and expansive beach front. It is a public beach with no entrance fee so expect to see a lot of crowds here, especially during summer. 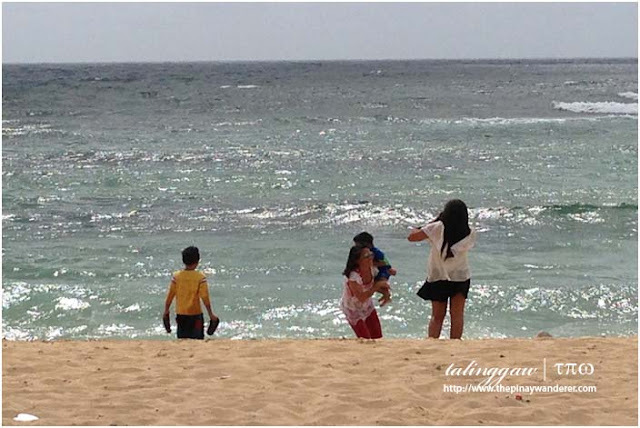 By the way, since Patar Beach faces an open sea, the beach looks kind of rough even during summer. I find it not safe for young children, probably even for non-swimmer adults, so make sure you watch out for your kids/each other at all times. Sand's kind of beige but really fine, you can walk around barefoot. my newphews, with the crowd! Our tricycle tour guide brought us in this resort, with 'rock formations' something in its name. Is this the real thing? 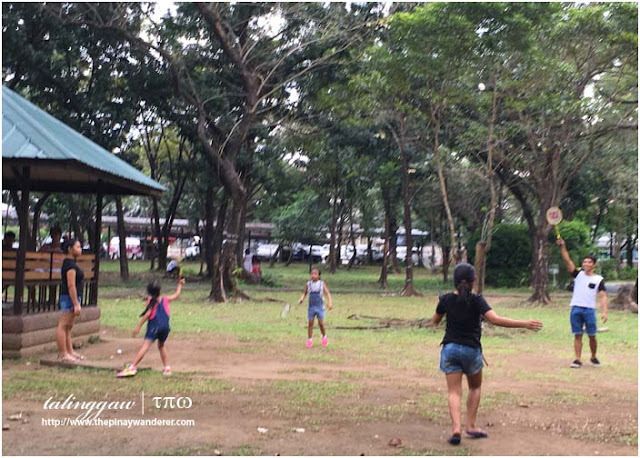 Am not sure, all I remember is that I paid 50 Php per person as entrance fee here, including the kiddos. No kids discounts! A rip-off, I must say. 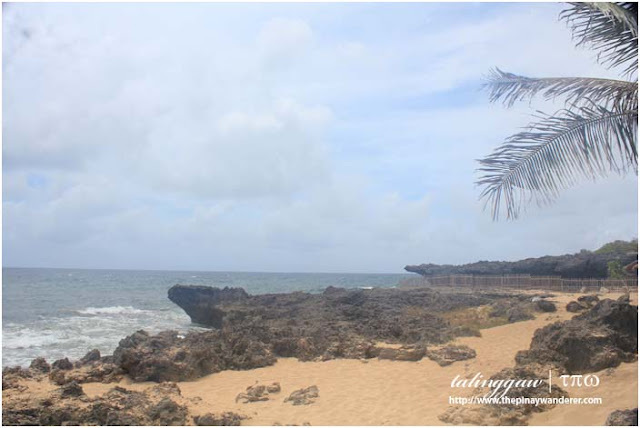 I saw almost the same formations in the far stretch of Patar Beach. Anyway, didn't take much photos in here, can't look/walk around because of the little kiddos. From Pasay/Cubao: Go to Five Star Bus Liner terminal in Malibay (Pasay) or Victory Liner (Cubao-EDSA) and take Bolinao-bound bus; get off at Bolinao bus terminal; fare is around 500 Php for aircon buses, one way; travel time is around 6-7 hours. 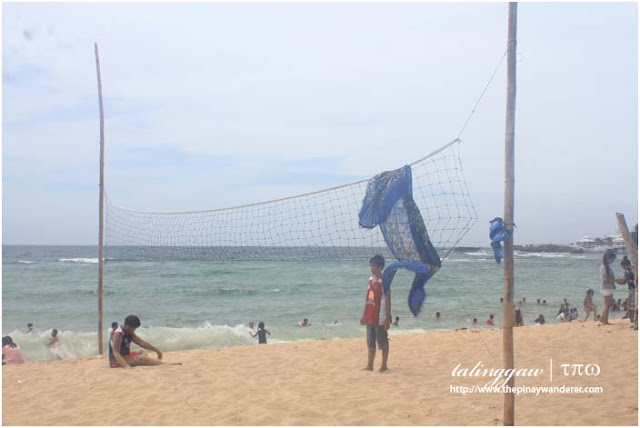 In Bolinao, take a tricycle going to Patar Beach, fare is around 150 Php, one way. In our case however, we get off at Church of Saint James since we came from Bani (via a jeepney). On the side street across the church are tricycles offering Bolinao tour; cost is 600 Php, round trip; tour takes around 3-4 hours, depending on how long you stay in each of the tour destinations. 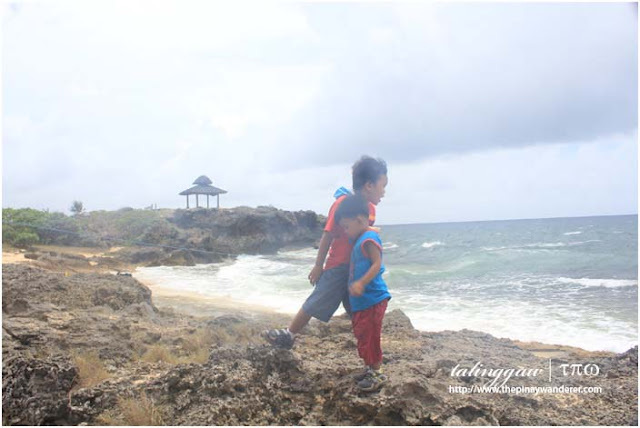 Patar Beach is part of a DIY tour my nephews and I made last 2015, while on vacation at my mother's hometown Bani. Just like my Ilocos Norte adventure, it was also via a tricycle. 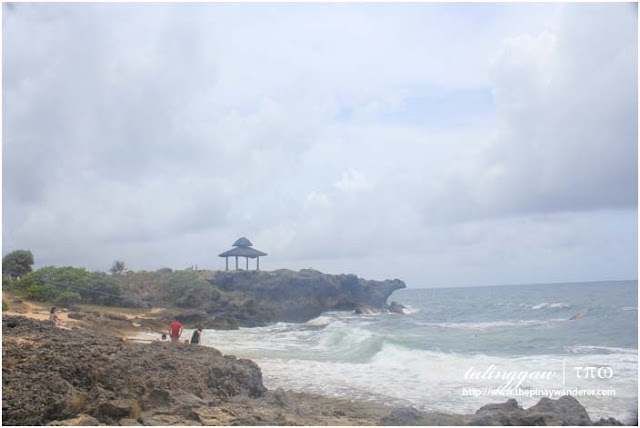 Bolinao DIY tricycle tour costs 600 Php covering four of Bolinao's tourist destinations - Bolinao Lighthouse, Enchanted Cave, Rock Formations and this beach. Sit less... move more... explore!, my mantra this 2017. This is because I realized I'm not getting any younger that getting physically fit is a must. 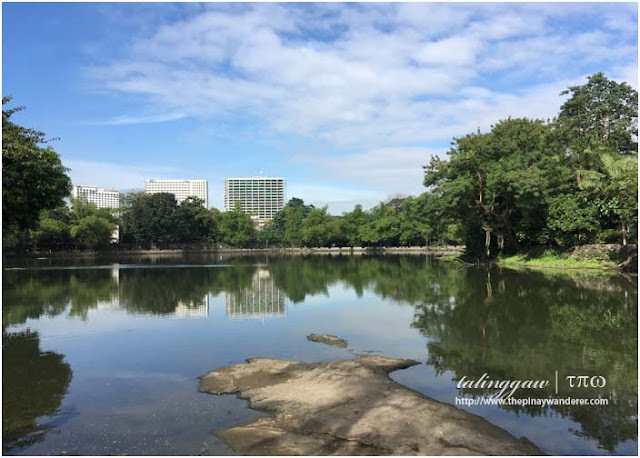 And one way of achieving it without getting bored is to go out and explore the city (am living in Quezon City) around me. 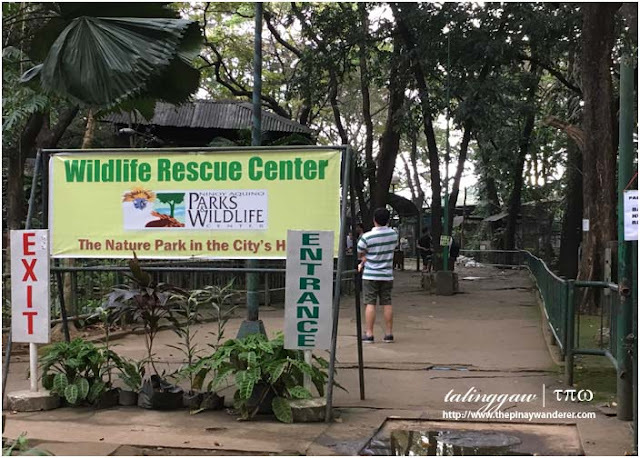 One of the first place I explored is the Ninoy Aquino Parks and Wildlife Center. 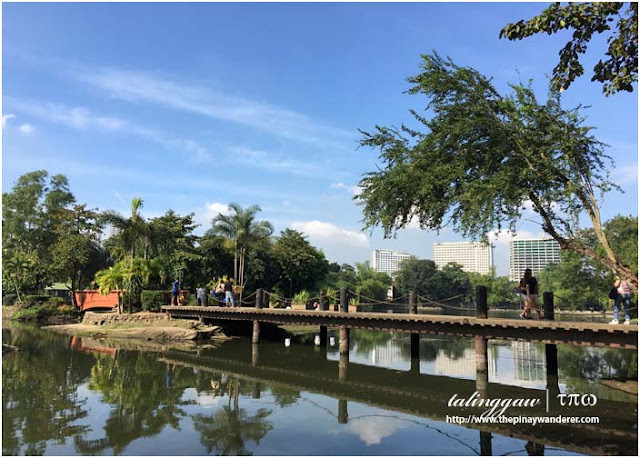 Ninoy Aquino Parks and Wildlife Center (NAPWC) is a 22 hectare zoological and botanical garden located in Diliman, Quezon City, very near Quezon City Memorial Circle (just across QCMC's North Avenue entrance). 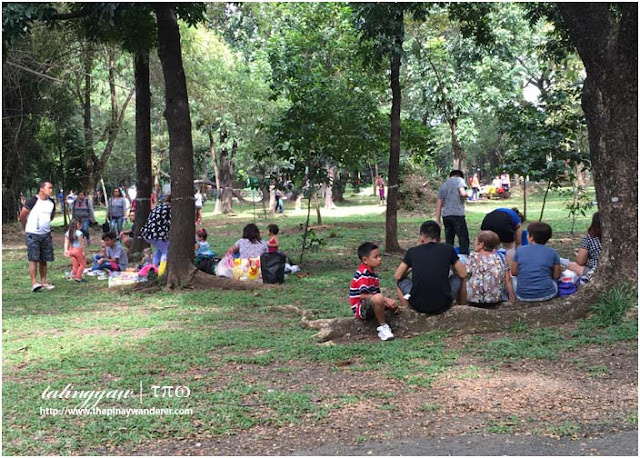 Aside from being a park, it serves as a temporary refuge for donated, abandoned, rescued and confiscated animals. 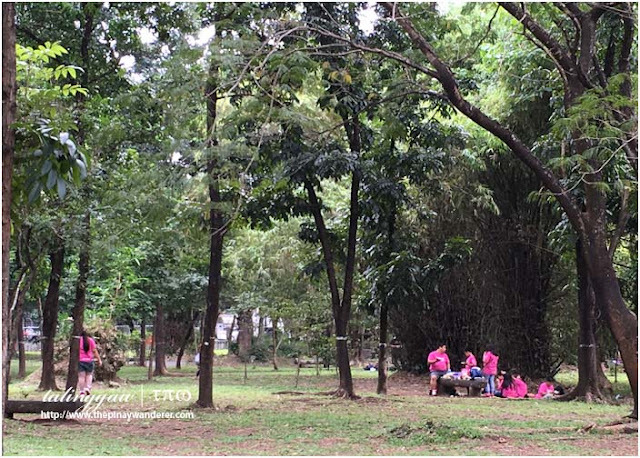 Several government offices under the Department of Environment and Natural Resources (DENR) are located there, including the Protected Areas and Wildlife Bureau (PAWB), an agency in-charge of the management, protection and conservation of protected areas and wildlife including those sheltered in NAPWC. 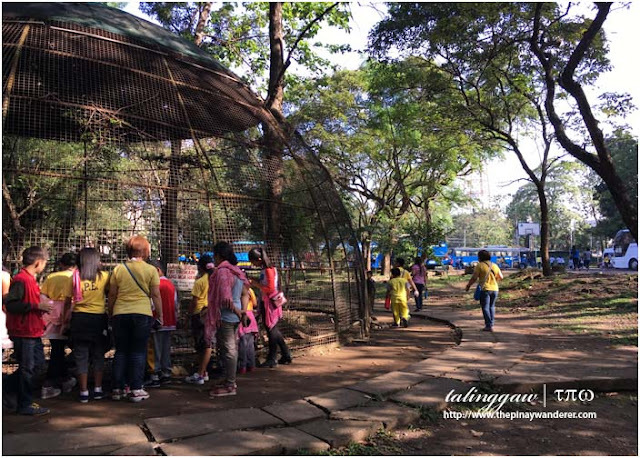 Anyway, if you're like me who wants to move more without spending more, Ninoy Aquino Parks and Wildlife Center is one of the place to be. 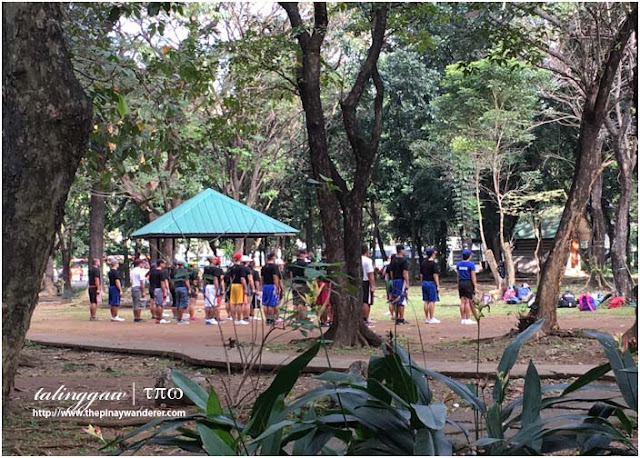 It's very near and it's cheap (only 8 Php entrance fee), a very good alternative than going to a gym. In NAPWC, you'll lose some extra pounds while exploring your very own city; you'll even learn something new that will raise your awareness of the environment. 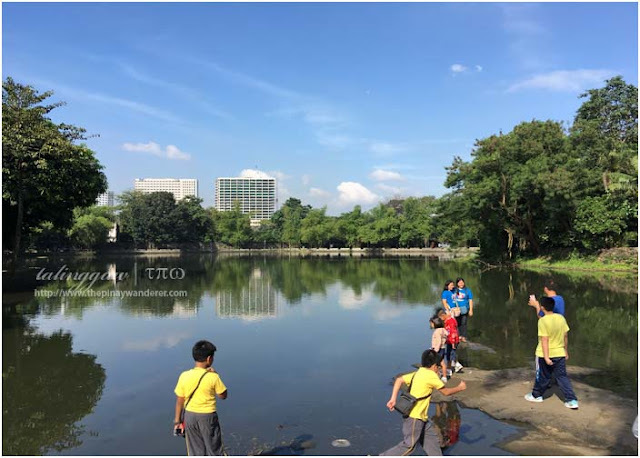 As I mentioned earlier, NAPWC is a good place to do your walking and/or jogging. 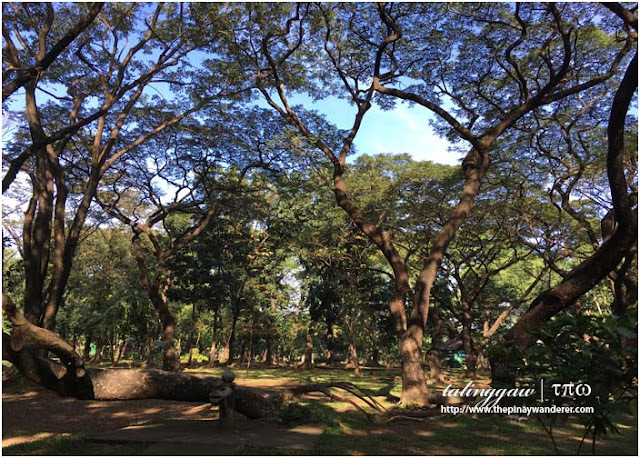 You can walk and jog here anytime of the day since the park is mostly shaded with trees. Walking around and exploring the park would take about three hours so imagine the calories you'll lose. I did it the first time I went there. 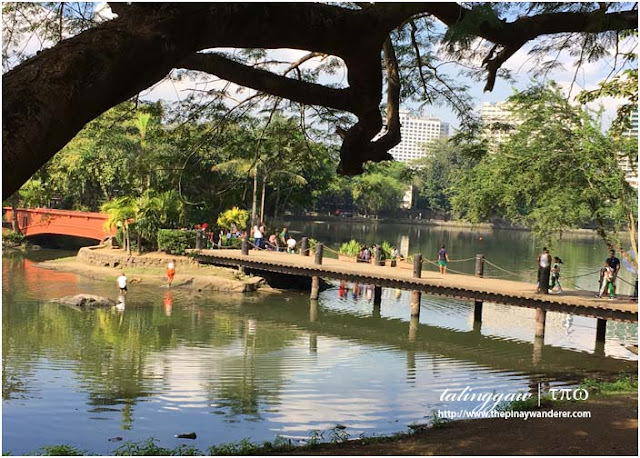 The next time around, I did my walking/jogging just around the lagoon, circling around it at least two times. 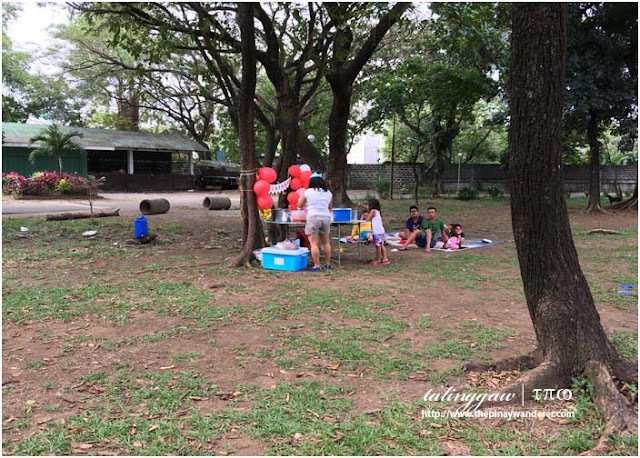 For QC dwellers, NAPWC is known as a picnic park. Many families go there especially those with young children. 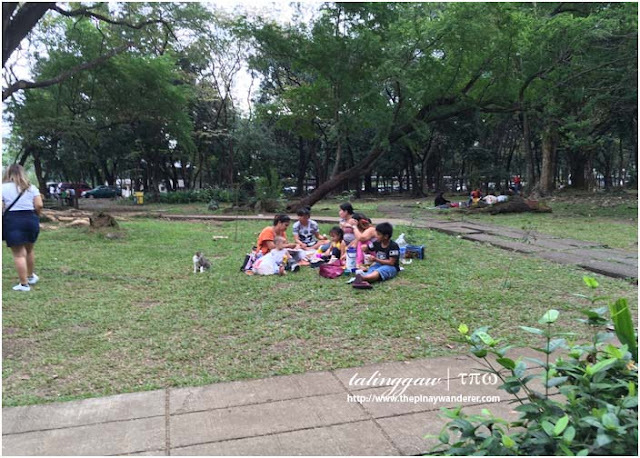 They play around, do some catching up (probably some gossiping, too... hehe), eat together and just sit and relax. Some even celebrates a family member's birthday. Cheap yet fun, right? 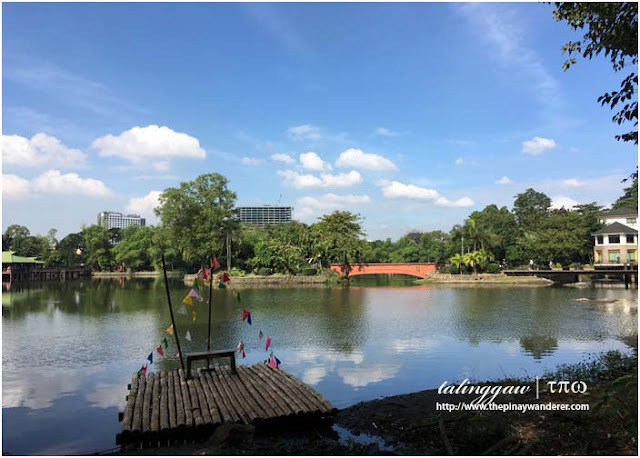 Walking around the park, I noticed several photo sessions here and there. I've also seen some groups shooting and directing some plays. Majority involves children dressed like a princess and/or using their (probably) favorite character's costume. 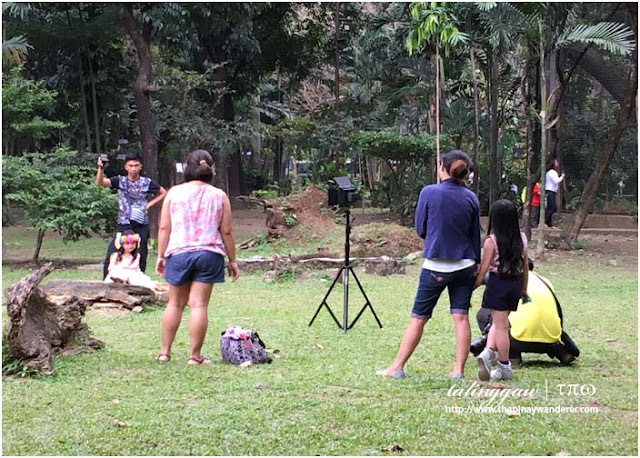 I've also witnessed an on-going photography session with aspiring (I suppose, hehe) models. If you're a photography enthusiast, drop by NAPWC and be inspired by those photographers. You may even ask to join them, I just don't know if it's free. heard the theme's about the sang'gres, you be the judge! 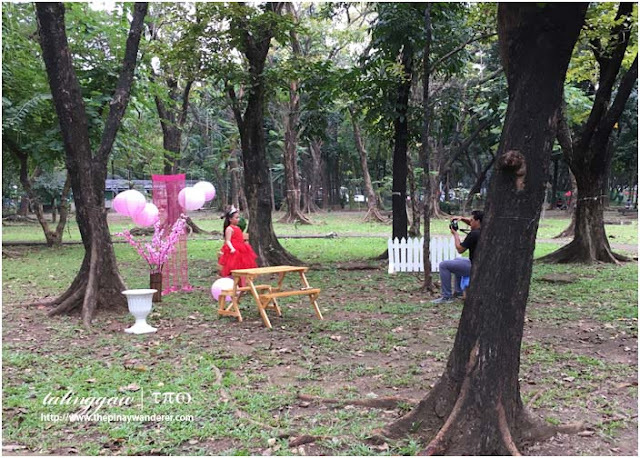 If you're on a budget but still would like to have that dreamed prenup photos and video to showcase on your wedding day, consider NAPWC as your photo shoot location. 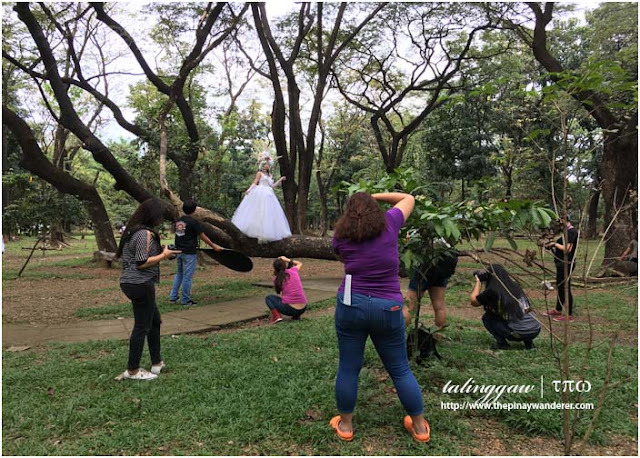 You and/or your photographer will surely find a nice spot to do it; you may even bring some props and kits to help with your theme. I've seen several couple doing it, just be creative. As mentioned above, NAPWC is a refuge for donated, abandoned, rescued and confiscated animals. 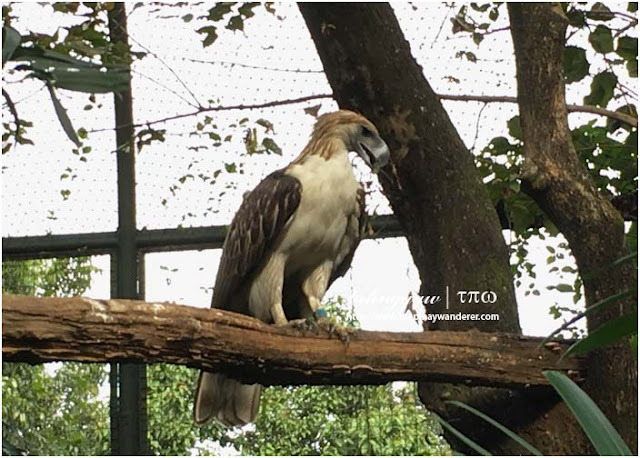 There is this particular section of the park dedicated for them, the Wildlife Rescue Center. 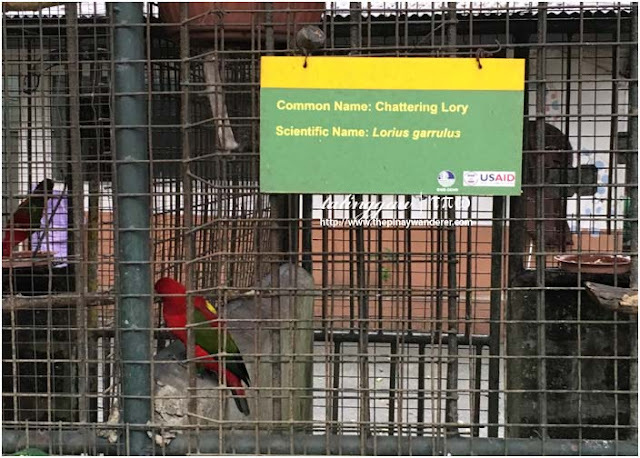 It's a bit of a cramped area with cages all around that housed various animals - birds, snakes, wild cats, crocodiles and many others. 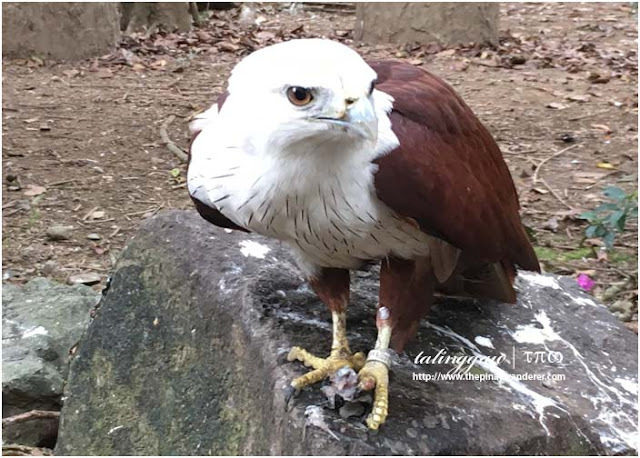 Check them out and make your children be aware of those protected animals. 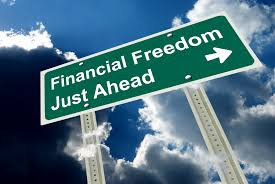 looking for a way to escape?! 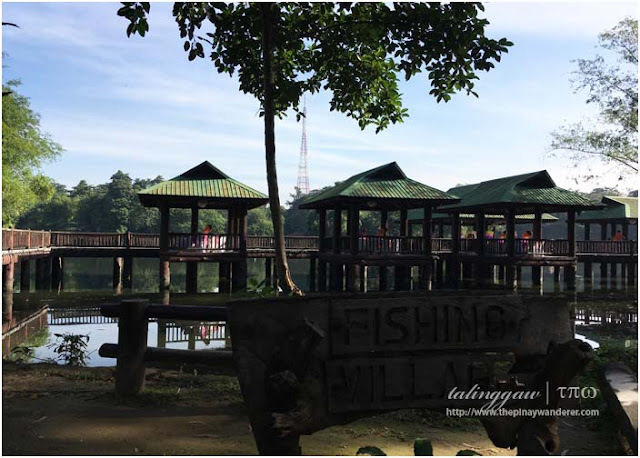 I wasn't able to enter the fishing village premise but I suppose you can rent the place for a special occasion. 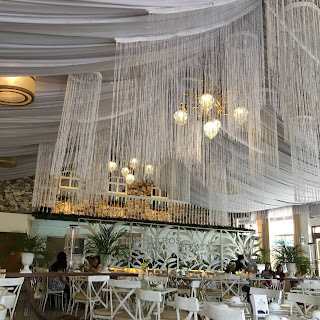 I saw it fully decorated with caterers/waiters waiting around to serve its guests. 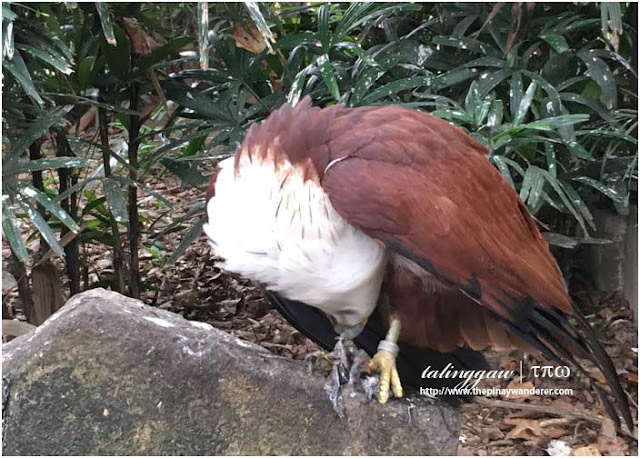 You may ask the park's administration, for a more accurate information about this one. 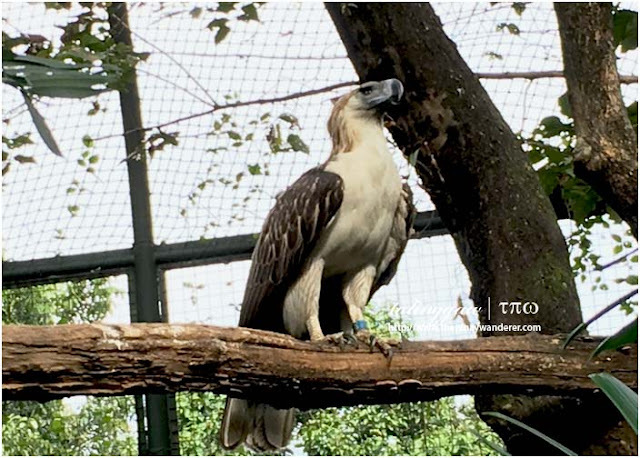 Ninoy Aquino Parks and Wildlife Center is a photographer's haven. And the Gazebo is it's most photographed section, I suppose. A lot of people gathered there to do their selfies, some others (young and young once) in photo session with their photographers. In case you don't know, NAPWC also has this section for sharks and other marine life. 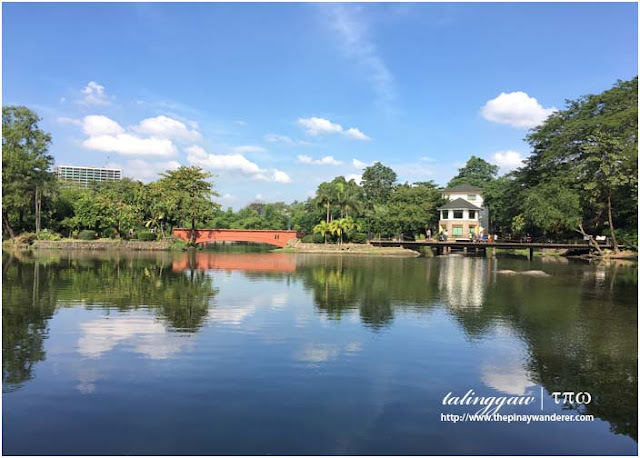 It doesn't look well-maintained and with only a few fishes but if you want to introduce your children to marine life, then you may check out their aquatic house. 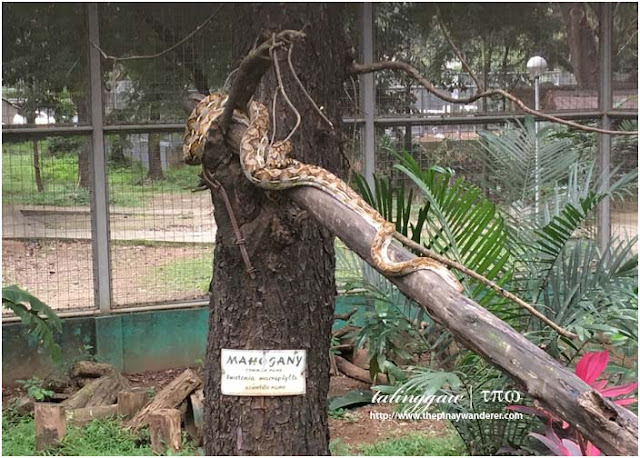 It is located just beside the serpentarium. If you and/or your family didn't bring some food, there are several food stalls and vendors inside NAPWC. Rice meals, noodles, dim sums, ice cream, chips and other junk foods - you'll find them there. For a rice meal, price ranges from 50 Php to 60 Php; noodles and other snacks are of course, cheaper. For a minimal amount, you'll never get hungry in this place.